How to do a Portfolio Chart with TChart? How to have a linechart and a target area shown? How to change the ZOrder of Marks? Is there a OnMarkClick() event? 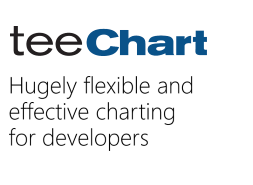 Are Teechart (including series) threadsafe? About the performance when add thousands of series..